You want to feel like you might be living inside a magazine photo? 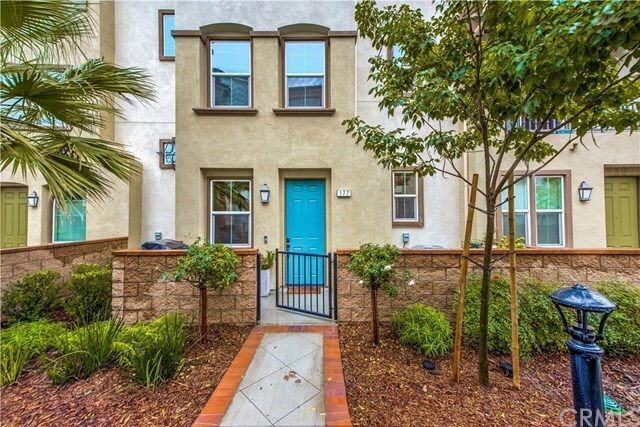 This adorable tri-level condo in Upland is a must see. Only 2 years old and it shows. Wood like tile flooring on second floor. Mosaic tiles in upstairs bathrooms. LED lights throughout(low electric bill). Walking distance to metrolink. Roman Shades, five staying. Shiplap walls on first level(can be office or play/game room) and second floor bathroom. Granite counter tops in kitchen and Quartz counters on bathroom vanities. Relaxing balcony on second floor. As soon as you "Ring" (ring doorbell included) the door, you will step into your new dream home. Turn key, ready to move in. Inclusions: Five fans and Ring doorbell.